The plan for an Anita Public Library originated with the Anita Literary Club in 1908. IN 1912, the Anita Literary Club was first organized. Discouraged from trying for a Carnegie Library, the women went ahead with this project themselves. Money was constantly being raised by the Anita Literary Club in order to keep the library going. The Library was begun September 9, 2911 in the restroom at the City Hall. The ladies in charge purchased a large number of books, novels, magazines, and reference books making a very complete library. The library was open on Wednesday and Saturday from 3 to 5pm and 7 to 9pm. Anyone holding tickets could go and get books at that time: others had to pay five cents per book. Anyone wishing tickets could purchase them for $1 and this was for one year of library use. Only two books could be checked out at one time. The books were divided into two classes; seven day books and the fourteen day books. The first books were acquired by members of the club canvassing the town for contributions. Mrs. Zoe Carter was the first Librarian and served for some time without salary. The Anita Literary Club sponsored the library, both financially and with volunteer help, until the present situation came into being in 1937. The library was not supported by taxation until 1937. Since that time, the budget has been provided through taxation and approved by the Mayor and the Town Council. The first board of trustees of the library was organized July 30, 1937. The library was located in the south room of the Town Hall until January, 1962 when it was moved to a building on Main Street. In September 1963, the town of Anita accepted from the Christian Science Society of Anita as a git the Christian Science Church building to be used as a Public Library, with the stipulation that the library always keep on had and display some Christian Science literature and that it always be used as a library. Anita eagerly accepted and allotted $11,000 to be used for remodeling and equipping the church. The structure 35 x 40 feet is French Provincial in style. 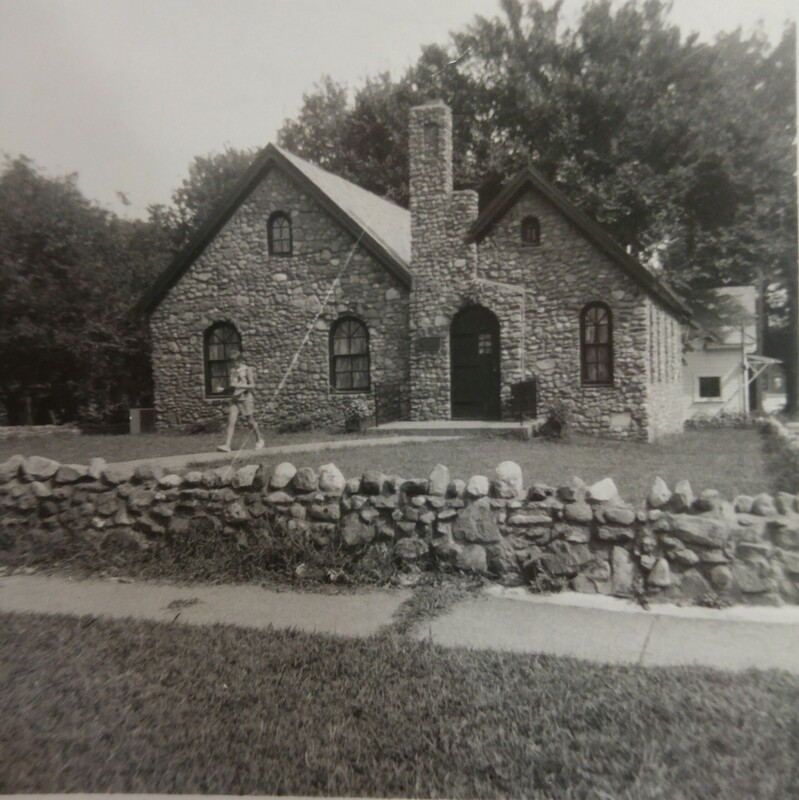 The building is very attractive, being made from cobblestone obtained from the Frank Barber farm north of Anita. Remodeling and redecorating were done to make the building more suitable. All new equipment, desks, tables, etc. in birch wood with fruit wood stain were purchased. The windows are of green stained glass. The beams and rafters are of stained walnut. The floor of uneven planking has wooden pegs. Air conditioning and florescent lighting was installed. A hallway where there had been doors, was turned into two very fine display windows. There are four very attractive rooms, with a couple of smaller ones. Water and sewer lines were brought into the building. A gas furnace and hot water heater were installed. A low wall of stone surrounds the 50 x 90 foot lot. The exterior of the Church building at the corner of Third and Cherry Streets remains as in years gone by. Before moving into the new building, letters were sent out to all the local churches, clubs, and organizations asking if they cared to donate money or new books. This was done to instill interest in the library. The new Anita Public Library “Open House” was held Sunday, June 14, 1964 with over 200 in attendance. 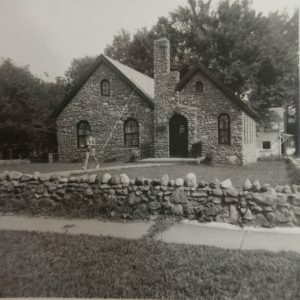 In the fall of 1996, the Library Board of Trustees decided to add onto the existing building as the Anita Public Library had out grown it’s allotted space. With various grants and generous donations, especially from the Henneberg-Roots Foundation, the “Realize the Dream” project was born. The library addition was 3,500 square feet and was able to keep the look and feel of the original building. One family donated a 100 year old rock pile that was started by their grandfather to place on the outside of the new addition. Part of the interior of the new addition has a vaulted high ceiling that showcases walnut stained wood beams to resemble the original building. Part of the original outside wall is visible in the new entry way as well as two arched, green windows from that old wall that was opened up. The new furnishings are blend with the old to make for a smooth transition. Below the new addition of the library, the city was able to build a community center that is 4,100 square feet with a full kitchen and bar facilities. The dedication and open house for the new addition to the Anita Public Library was held Sunday, November 14, 1999. All information was obtained from the Anita History Books located in the Iowa Room of the Anita Public Library.